Visitors to rural Oxfordshire may be surprised to learn that London is less than 70 miles away. Bustling market towns, sleepy village churches and magnificent stately homes combine to give the Oxfordshire Cotswolds a unique appeal, with scenery that has led to the area being designated an Area of Natural Outstanding Beauty. There are four major towns in the Oxfordshire Cotswolds each with its own unique charm. Witney is a traditional English market town, the epitome of rural England. The market square is dominated by the 17th century Buttercross where local farmers gathered to trade butter and eggs. The town can trace its history back to the 12th century, when the Bishop of Winchester built a palace in the town. The remains of this were rediscovered in the 1980’s and can be seen at Church Green, in the shadow of the spired 13th century St Mary’s Church. Witney, like the rest of the area, has a wide selection of places to eat and drink. Intimate restaurants, traditional country pubs and quaint coffee shops cater for all tastes. Locally sourced produce is widely used and can be bought at regular farmers’ markets and local farm shops. Witney also has its own real ale brewery, Wychwood’s. Brewery tours are available on weekends, but advanced booking is essential. Shops with Tudor and Georgian frontages dominate Burford High Street. National chains are nowhere to be seen as independent antique shops, craft shops and cafés provide a totally different shopping experience to city centre high streets and out of town malls. Burford, which enjoys a reputation as one of England’s most picturesque towns, has remained largely unchanged for centuries with ample photo opportunities with a selection of old stone houses and the medieval bridge that straddles the River Windrush. Just south of Burford, the Cotwold Wildlife Park and Gardens is home to a varied selection of animals ranging including penguins, monkeys, meerkats and farm animals. Chipping Norton, granted a Royal Charter by King John in 1205, is the highest town in Oxfordshire. High street brands and independent stores combine to attract visitors to the town. Antiques again are prominent, with comedian Ronnie Barker running a store called the Emporium until his death in 2005. Market day is Wednesday and parking in the town centre is free. Local tourist attractions include Chipping Norton Museum and the Churchill & Sarsden Heritage Centre. Woodstock, standing on the banks of the River Glyme, also has a wide selection of antique shops, galleries and eateries. Winston Churchill was born just down the road, at Blenheim Palace. The palace stands in over 2000 acres of parklands and gardens, designed by Capability Brown. The palace, park and gardens are all open to the public. There are two rates of admission – one including admission to the palace. Both tickets include admission to the park and gardens and rides on the miniature train. The train runs to the Pleasure Gardens which has a maze, an adventure play area, butterfly house, lavender garden and “Blenheim Bygones” exhibition. 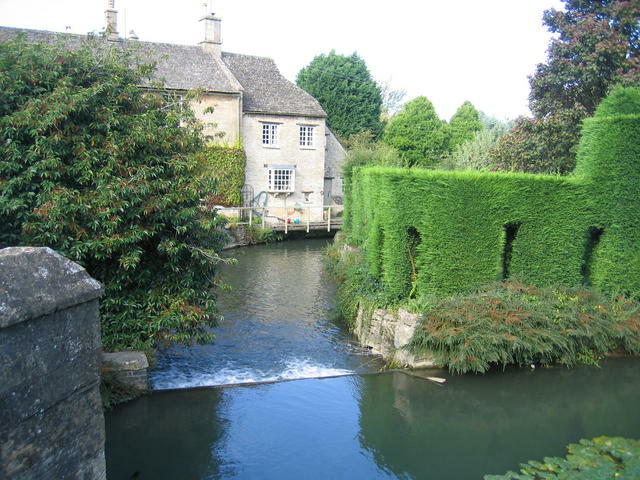 West Oxfordshire District Council has Tourist Information offices at Burford, Witney and Woodstock. Information on places to stay and things to do is readily available. There is a full range of accommodation available, with self catering cottages and bed and breakfasts catering for all budgets. The Oxfordshire Cotswolds are in easy reach of London, Oxford , Stratford upon Avon and Cheltenham. London Heathrow and Birmingham International Airports are both about an hour’s drive. The A40, London to Gloucester, trunk road runs through the heart of the area passing near to both Burford and Witney. The M40 and A34 connect with the A 40 near Oxford providing excellent links to the rest of the motorway network. Trains run regularly between London Paddington and Hereford, calling at Charlbury and Kingham. Bus connections at Kingham provide links to Burford, Witney and Chipping Norton. Trains from Bristol run to South Wales and the West Country. Take a day out to The Roman City of Bath, Stonehenge or the Doctor Who Exhibition. Wander round Cardiff Castle, or take a tour of the Millennium Stadium – both are a short walk from the station. The shopping centre in Cardiff has modern malls mixed with Victorian arcades, and well known high street names stand alongside locally owned speciality shops. Buses run from outside the station to Cardiff Bay, home of the Doctor Who exhibition, and the Welsh Folk Museum at St Fagans. Trains to Cardiff run every 30 minutes from Bristol Temple Meads; the journey takes 1 hour. London to Cardiff trains call at Bristol Parkway station (5 miles north of the city centre); trains run every 30 minutes and the journey takes 40 minutes. Car parking is available at Bristol Parkway at £6.90 per hour, but the car park gets full quickly on weekdays. 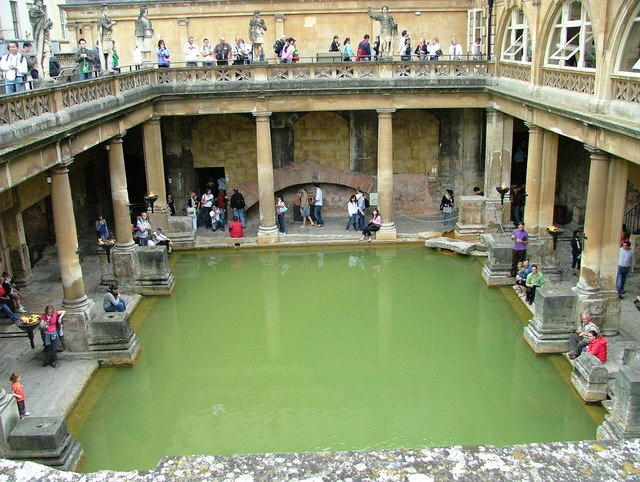 The Roman city of Bath is just 10 miles east of Bristol. The city, with some of Europe’s finest architecture, is a UNESCO World Heritage Site. See the Royal Crescent, the Circus and Pulteney Bridge or visit the Roman Baths or Bath Abbey. The city centre is near the railway station and has exclusive shopping and top class places to eat. Trains to Bath run every 15 minutes from Bristol Temple Meads; the journey takes, on average, 12 minutes. Salisbury is famous for its cathedral and Stonehenge. Te Cathedral is open daily to the public and is about 800 yards from the station. Stonehenge is almost 10 miles away but buses leave outside the station every 30 minutes, and the journey takes just over 30 minutes. The shopping centre, where the Charter Market has been held most Tuesdays and Saturdays for over 800 years, has a selection of high street names and small independent stores. Many shops are housed in medieval half timbered buildings. Trains to Salisbury run every hour from Bristol Temple Meads; the journey takes, on average, 1 hour 8 minutes. 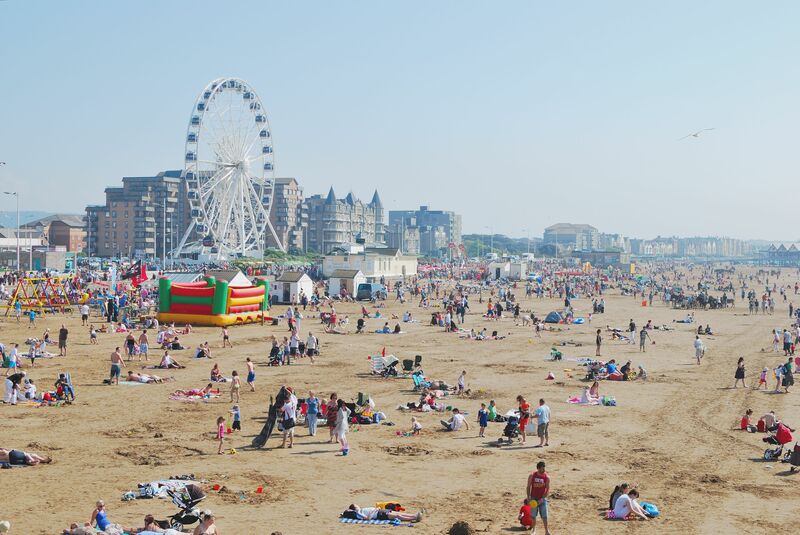 Weston-super-Mare is a traditional seaside resort with sandy beaches, amusements, donkey rides and boat trips across the bay. Indoor attractions include SeaQuarium, the North Somerset Museum and the Helicopter Museum. A stroll along the promenade offers lovely views across the Bristol Channel. Trains to Weston-Super-Mare leave every 30 minutes from Bristol Temple Meads. The average journey time is 35 minutes.